This course is designed to train the participants and help them prepare for and pass the CSSBB (Certified Six Sigma Black Belt) Exam conducted by the ASQ (American Society for Quality). EAS a tremendous Six Sigma Certification in Chennai offers services incorporate statistical and metric concepts for problem solving in business processes. Six Sigma Certification in Chennai provides chance to build early competency that helps persons take vital organizational judgements using analytic skills. Vskills certification for Six Sigma - Black Belt Professional assesses the candidate as per the company’s need for deploying, managing and maintaining quality systems. The certification tests the candidates on various areas in lean and six sigma principles, DMEA, QFD, collecting and summarizing data, statistical analysis and process control. Six Sigma certification is a globally reputed professional certification that demonstrates a professional’s ability to manage quality in processes ensuring zero defects. 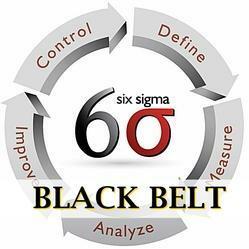 Six Sigma certification is offered in different levels; Six Sigma Green Belt and Lean Six Sigma Black Belt being two of the most demanded ones. Six Sigma is used by the business in various ways: from executing large-scale initiatives such as post-acquisition integration's to solving day-to-day business challenges such as improving line efficiency within our production and service facilities. Stratefix Consulting hold expertise in implementation of Six Sigma. Six Sigma is a disciplined, statistical-based, data-driven approach and continuous improvement methodology for eliminating defects in a product, process or service. The world have adopted Six Sigma as a way of doing business. Quality Professionals Group brings certificate course on an awareness to 'Six Sigma & Business Excellence' through distance learning. The duration of this course is one month. COURSE DESCRIPTION Six Sigma is a well recognised set of guidelines laid by the American Society for Quality (ASQ). Through Proplus Edutech' Six Sigma Green Belt program, participants will gain knowledge of the DMAIC approach defined by ASQ, along with statistical tools to quantify process performance. We delivery trainings on Lean Management practices and Six Sigma methodologies. 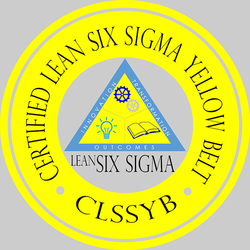 Depending on the requirements, we can deliver Six Sigma Yellow Belt, Green Belt and Black Belt trainings. We can also do Six Sigma project support where by you can enjoy breakthrough improvements.